New fan art by ShatterverseEnt imagines John Krasinski as Ben Affleck’s Batman replacement. You can check out the photo of John Krasinski as Ben Affleck’s Batman replacement in the post below! 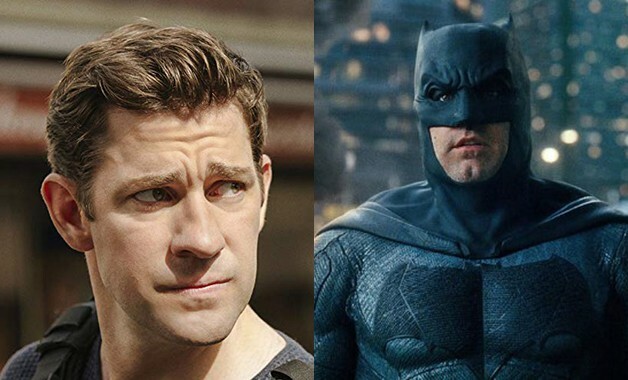 What do you think of this depiction of John Krasinski as Ben Affleck’s successor? Let us know in the comments! Ben Affleck recently announced he will not reprise his role as the Caped Crusader in the upcoming solo film from director Matt Reeves. Plot details for The Batman are currently under wraps, though the film will center around a younger Bruce Wayne and includes multiple villains. Matt Reeves also confirmed that it will not be directly based on Frank Miller’s Year One comic and will use of the Dark Knight’s detective skills to a greater extent than previous films. You can’t even tell who this is. Stop posting fan art. It delegitimizes this entire website. “John Krasinski Replaces Ben Affleck As Batman” is lying click bait. I’m adding this site to my blocked list. WHAT A STUPID WEBSITE. IM DONE HERE.